Two of the key issues facing QCD at low energy are a quantitative description of confinement and an understanding of the origins of the constituent quark model. 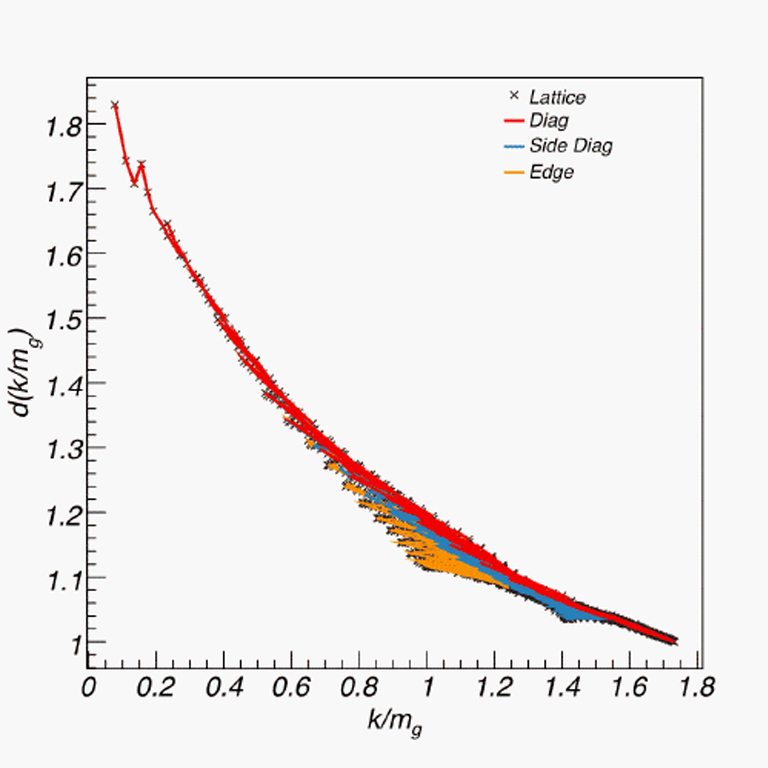 Although lattice gauge computations are capable of answering many questions in strong QCD, it is clear that the development of reliable analytical continuum tools are a necessity for advancing the field. Continuum methods allow one to understand how QCD works from first principles, permit the development of intuition for phenomenological model building, and address computationally challenging phenomena such as QCD at finite density, extrapolation to low quark masses, or the treatment of large hadronic systems. A variety of such continuum tools exist: chiral perturbation theory, effective heavy quark and low energy hadronic field theories, 4-dimensional Dyson-Schwinger methods, fixed gauge Hamiltonian QCD approaches, and QCD sum rule methods. A key feature of Coulomb gauge is that the elimination of nondynamical degrees of freedom creates an instantaneous interaction. The QED analogue of this is the Coulomb potential; however, the non-Abelian nature of QCD causes this instantaneous interaction to depend on the gauge field, making it intrinsically nonperturbative for large fields. The restriction of the transverse gluon field to the fundamental modular region formally makes the Coulomb potential well defined. It also implies that the Faddeev-Popov (FP) operator which enters in the Coulomb potential is positive definite. A consequence of this is that one may employ the variational principle to build nonperturbative models of the QCD ground state. This is a crucial step with many phenomenological repercussions in the methodology. The Fock space which is built on variational vacuum consists of quasiparticles – constituent quarks and gluons. These degrees of freedom obey dispersion relations with infrared divergences due to the long-range instantaneous Coulomb interaction of the bare partons with the mean field vacuum. This interaction makes colored objects infinitely heavy thus effectively removing them from the physical spectrum. However, color neutral states remain physical because the infrared singularities responsible for the large self-energies are canceled by infrared divergences responsible for the long-range forces between the constituents. In the Coulomb gauge the time component of the vector potential becomes constrained by the transverse gluon field defined in the spatial directions alone, leading to an instantaneous potential between color charges. This potential depends on the inverse of the Faddeev-Popov, or ghost, operator. It was postulated by Gribov and by Zwanziger that gauge field configurations near the boundary of the field space domain, the Gribov horizon, dominate matrix elements and, since at the boundary the Faddeev-Popov operator vanishes, the instantaneous Coulomb potential is expected to be enhanced compared to the value at zero field. This could signal confinement. Furthermore, since for a state containing a static quark-antiquark pair in the vacuum the Coulomb potential provides an upper limit on the total energy, Zwanziger concluded that a necessary condition for confinement is that the expectation value of the Coulomb potential in such state is also confining. From the point of view that the energy spectrum is a direct probe of confinement, it seems relevant to investigate matrix elements of the inverse of the Faddeev-Popov operator. Thus analytical and numerical studies of the corresponding matrix elements in Coulomb gauge by introducing various ansatz gluon vacuum wavefunctionals are one of the very few viable scenarios for proving confinement of the color charge. Coulomb gauge is efficacious for the study of bound states because all degrees of freedom are physical (there are no ghost fields in this gauge) and a positive definite norm exists. Furthermore, resolving the Coulomb gauge constraint produces an instantaneous interaction (the non-Abelian analogue of the Coulomb interaction) which, may be used to generate bound states. Because the temporal component of the vector potential is renormalization group invariant in Coulomb gauge (this is not true in other gauges), the instantaneous potential does not depend on the ultraviolet regulator or the renormalization scale. This fact permits a physical interpretation of the instantaneous potential which is a central aspect of the formalism. It is clear that constructing hadrons from the basis of free quasiparticles is futile if it is done perturbatively. A simple and natural way to avoid this pitfall is to choose a convenient form of ground state Hamiltonian, H0, and diagonalise it nonperturbatively to obtain a basis of color singlet bound states. Bound state perturbation theory may then be employed to systematically include the effects of the full Hamiltonian, Hint, which incorporates the corrections to these states due to transverse gluon exchange, three and four gluon interactions, and higher order contributions from the FP determinant and instantaneous confinement potential. It is worth stressing that H0 is still a field theory and hence is considerably tougher to solve than old fashioned quantum mechanical quark models. But there are substantial advantages to adopting this approach. Foremost is that H0 + Hint is QCD. Furthermore, H0 is relativistic and incorporates gluonic degrees of freedom. Thus it is possible to examine glueballs, hybrids, and other gluonic phenomena in a coherent fashion. It can be shown, that a convenient choice of H0 automatically generates the correct static potential upon which to construct hadrons. Moreover, H0 generates states which are infrared divergent if they are not color singlets (hence these are removed from the spectrum). Conversely, all color singlets are IR finite. Thus the basis generated by H0 contains no spurious color nonsinglet states which would have to be removed by laborious iteration of Hint and, in fact, is expected to provide a reasonably accurate starting point for hadronic spectrum computations. As a practical note, the physics of the variational vacuum may be accurately approximated by simply using dressed quarks and gluons when constructing hadrons. The constituent masses are roughly 200 MeV and 600-800 MeV respectively. Finally, the spectrum generated by H0 is spin averaged in the sense that it only incorporates spin effects from relativistic corrections to the Coulomb potential. Full spin splittings come from Hint. It was mentioned above that it seems relevant to investigate matrix elements of the inverse of the Faddeev-Popov operator both for studying of various confinement scenarios and hadron phenomenology. Such analytical calculations have been performed in the past, which typically start from an ansatz for the vacuum wave functional and various approximations are used to derive Dyson equations for correlations functions. Since the Coulomb energy involves fields at one time slice, only spatial correlations are needed. Through a systematic study of the IR behavior of the gluon-gluon correlation function and the Faddeev-Popov operator it was shown that within the particular set of approximations used to derive the Dyson equations, all self consistent solutions are IR finite, but close to being critical. Most likely what this means is that the vacuum wave functionals used in these calculations do not yet account for all field configurations responsible for confinement. Another way of seeing this is through the behavior of the spatial Wilson loops, for which such wave functionals fail to reproduce the area law behavior. If and when missing configurations are properly accounted for one would still face the question of reliability regarding the other approximations used in deriving the Dyson equations. These are typically based on the large-$N_C$ expansion and examination of the IR and ultraviolet (UV) behavior of higher order diagrams. To leading order this amounts to summing the rainbow-ladder diagrams. The numerical approach confronts the Dyson equations for the Coulomb gauge correlators with direct evaluation of the underlying matrix elements using Monte Carlo techniques for the path integral over the transverse gluon fields. The numerical techniques are close in spirit to those of lattice gauge theory, but have a crucial advantage of including only spatial dimensions in lattice discretization of the space-time continuum. Moreover, the calculations are also simplified by the elimination of the time component of the gauge field. A further application of the numerical method includes exploring more complicated, gauge-invariance inspired vacuum wavefunctionals that don't allow for analytical expansion and only seem feasible to be treated using the numerical methods, using either fully-fledged lattice gauge techniques or our more simplified method.